A graduate from IIM, Ahmedabad and an engineer from IIT, Kanpur; Mr. Anil Jaggia has strong credentials and brings with him 23 years of rich experience across a wide spectrum of financial services. Post merger of Centurion Bank of Punjab with HDFC Bank in May 2008, Mr. Jaggia has taken over as CIO of HDFC Bank. 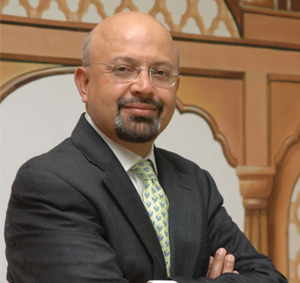 Before joining HDFC Bank he was Chief Operating Officer of Centurion Bank of Punjab Limited, for four years. He was responsible for Operations, Finance, Technology, Administration, Transaction Banking, including Cash Management, Trade Finance & Foreign Exchange Services of the Bank. As part of the Bank’s management team, Mr. Jaggia played an important role in the successful mergers of Bank of Punjab with Centurion Bank; Lord Krishna Bank with Centurion Bank of Punjab and Centurion Bank of Punjab with HDFC Bank Ltd. Prior to joining Centurion Bank of Punjab, Mr. Jaggia worked for over 18 years with Citibank at Chicago, New York, Singapore, Mumbai and Kolkata. At Citibank, he was in charge of businesses like Cash Management, International Trade, Foreign Exchange & Derivatives, Asset Sale and Commercial Cards. He has worked in various functional areas including Business Management, Product Management, Operations, Sales and Trading. Mr. Jaggia held the position of Head – Forex & Derivatives as his last assignment with Citibank in India.